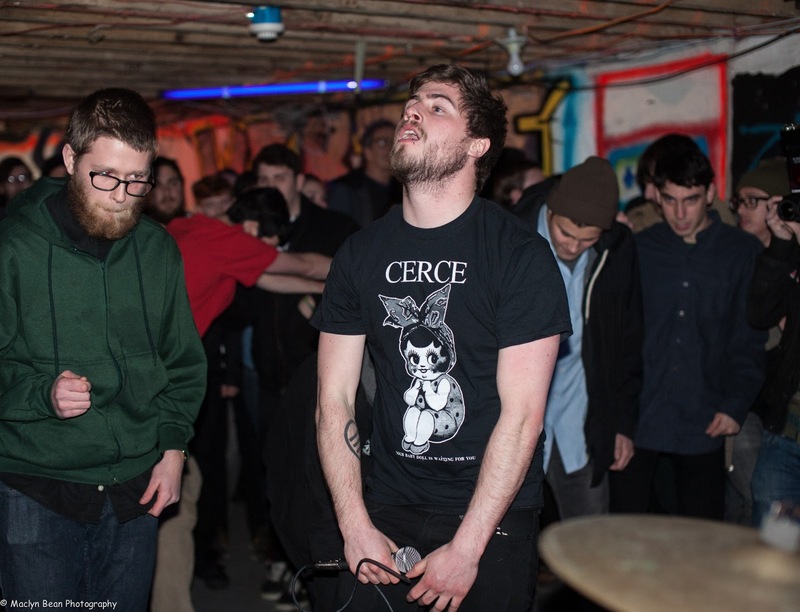 Grower officially released their tape at their show last night at Moonbase Nix in West Philly with Congenital Death, Cerce, Pray For Teeth, Aviator, and Callow. In typical Grower fashion, they opened the show and shredded through their five songs in less than 10 minutes without even announcing their name before playing or wasting any time saying anything between songs. Overall, they killed it and the crowd's response to their set was the best to date. Although Grower has the remaining tapes, the webstore will still be kept up if anyone not in the local area is interested in picking up a copy. I'll grab one from them, package it up, and mail it out. These are official release photos and a picture from last night's show. Note that the insert used in the photos which depict the color varieties were test inserts, not the final prints. The final inserts look a lot bolder and less grainy. Grower @ Moonbase Nix, 01/07/2013. Silkscreened Friends Press cloth covers. Silkscreened posters and patches (not pictured) were also given out at the release show.